Starve or be eaten? For small animals, this challenge must be faced every day. Searching for food is a risky business, and small animals must balance their need to eat as much as possible against the risk of being eaten themselves. New research from Western Sydney University shows how mice, and likely other small prey, resolve this problem with the help of an energy-saving mechanism known as torpor. Torpor is a condition where small mammals and birds can reduce their body temperature below normal levels for a short period of time, like a mild form of hibernation, and these torpor bouts can provide a large reduction in the amount of energy consumed when resting. Up until now, ecologists had not made the connection between using torpor to avoid starvation when food is unavailable or during cold weather and the trade-off between food and safety that drives the behaviour of foraging animals. In a novel experiment, Dr. Christopher Turbill (opens in new window) and Ms Lisa Stojanovski from the Hawkesbury Institute for the Environment (opens in new window) adjusted how risky mice perceived foraging by adding or removing the amount of cover for hiding on the ground in semi-natural enclosures, and tested how the mice responded both in terms of foraging activity and regulation of their body temperature. 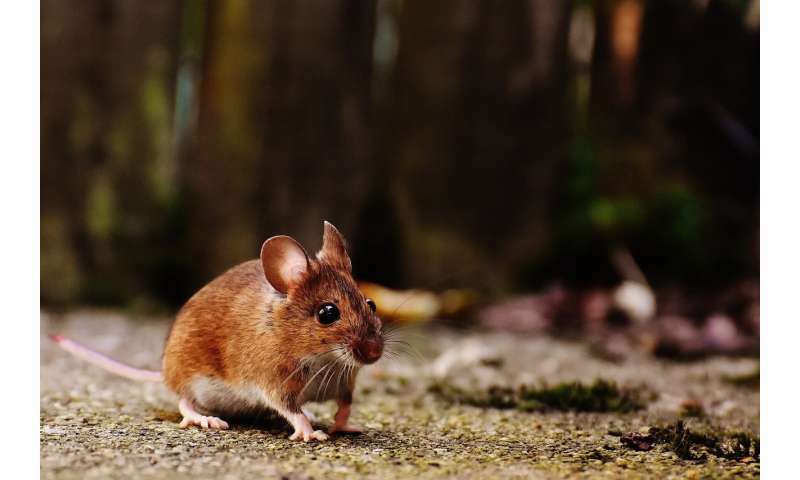 They found that mice used torpor when they perceived the risk of predation to be high, and showed how torpor allowed them to cope with a reduction in foraging activity and food intake. So, by going cold during resting, mice saved energy and reduced their need to forage in a risky environment. "We are very excited about these results" Christopher explains, "because it shows that torpor is an important physiological tool for reducing the risk of predation for prey species. We know that torpor increases survival, and this experiment shows how torpor helps by reducing the risks of mortality from starvation and predation." "If an animal can use torpor, it has a choice of whether to forage or wait safely, and this could flexibility be critical to its survival." "Avoiding predation is critical, especially in changing or modified environments. That's why our study is important: it links a common physiological response to starvation with a common behavioural response to predation risk. This simple step changes the way we understand animal behaviour." Torpor is used by a wide variety of mammals and birds, and has evolved more commonly in regions with variable climates or low productivity. A small reduction in body temperature is a common response to starvation among all birds and mammals. The researchers believe their experiment provides an important step in understanding how animals solve with the puzzle of 'eat or be eaten'. Reducing temperature, along with saving energy, would help avoid being found by critters like snakes and some lizards that use heat sensing organs or even seeing in the IR band. Being able to more easily blend into the background that way would be an effective thermal camouflage. Torpor like that should also reduce the noises made, even the heartbeat and breathing would take a softer tone and that would help in hiding from sound-oriented hunters such as cats and owls. Cats go by visual, smell as well as auditory, so they and weasel-class animals are the greatest threats to mice in general, and there is little they can do about active hunters like this other than trying to escape. But the torpor strategy also has a larger number of benefits to it as well, when one looks at a wide range of hunting strategies employed by their main predators, especially when the risk compared to feeding opportunities are high.